Consider Amadablam expedition as the world’s most technical peak climb that offers the gorgeous, technical climbing experience in the Himalayas. Amadablam climbing is one of the world’s most impressive peak climbing experience. Due to its unique, sharply pointed soaring shape, ascending Amadablam sheer peak is the ultimate dream of climbers. Ama Dablam is perhaps the most beautiful and noticeable peak on the way to Everest and Everyone on their way to Everest Admire its beauty. The view of Ama Dablam peak worth million dollars from the Tyangboche Monastery. Moreover, most of them dream to climb this beautiful peak and some of them dare to complete Ama Dablam climbing. Ama Dablam in native sherpa language refers to “Mothers Necklace” and it was named so for its beautiful structure. And the mountain looks like as if the mother is protecting the child from distance. As a matter of fact, Ama Dablam (6170m) is one of the most unique and gorgeous peaks in the Everest region. It falls on Mahalangur Himalayan range and is very popular among climbers for the expedition. Standing in the south of Mount Everest and Mount Lhotse in Khumbu region with the sharply pointed soaring shape makes Ama Dablam a unique and beautiful Mountain Peak. The route to the top is via South-western ridge and the same route is used for the very first Ama Dablam expedition. The route from South-western ridge is also the safest route for Ama Dablam expedition. The first successful climb to mount Ama Dablam was first completed in 1961 by Ward(UK), Bishop(USA) and Gill(NZ). Since then, Ama Dablam climb is gaining its popularity and most of the climbers give it a try before doing Everest Expedition as well. With its demanding difficulty, Ama Dablam expedition offers an amazing view in the Khumbu region and the climbers worth it. The Ama Dablam climb is most technical and the difficulty is really challenging. This demanding difficulty is due to the structure of Ama Dablam that is sharply pointed. Toughest ridges and rocky boulders with the additional steeply slippery path and hanging glaciers makes Ama Dablam expedition one of the toughest and technical expedition. However, the climbers with previous climbing expedition and the beginners can do this climb with proper training and technical guidance. After arriving in Kathmandu, our airport representative will pick you up from the airport and take you to your hotel. In the afternoon, you may take a rest or Pay a visit to our office. In the evening, there will be a welcome dinner hosted by our agency. For dinner, you'll be served authentic Nepalese cookery which can introduce you to the country’s food culture. Overnight in Kathmandu. Today you’ll spend your whole day preparing for the expedition. you’ll be involved in expedition briefing and some training session. Likewise, you’ll get your equipment checked by our climbing leader, get introduced to fellow participants, and discuss Ama Dablam Expedition details at our office. Overnight in Kathmandu. After a brief morning flight to Lukla, you’ll be introduced to your Climbing guide and other teams. Then from Lukla continue your trek with an easy walk through Chaurikharka village and descent towards Dudhkoshi Ghat (2,530m/8,300ft). The trail follows the bank of the Dudh Koshi River until Phakding (2,652m/8,700ft), where we will be staying for the night to acclimatize. 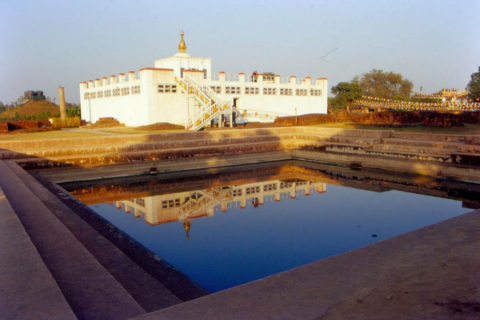 Enjoy your free time in Phakding, a well-liked stopping point. Day 04: Trek to Namche Bazaar 6 Hours approx. Today you’ll have breakfast in Phakding before gearing up for the trek to Namche Bazaar, the biggest sherpa village in Nepal. After that, your trail firstly takes you over the Dudhkoshi River via a long suspension bridge, and then through a beautiful pine forest to Monjo, about two hours away. Soon after that, you’ll approach the entrance point to Sagarmatha National Park for a brief permit check. Further, you’ll descend to Dudh Kosi River (spotting Mani stones along the way!) en route to Jorsale. you’ll have your lunch here, and then it’s uphill to Namche. your path on the riverside is flanked by two crossings, one among that is the Hillary suspension bridge. It’s a tough climb up the hill to your resting place, but you’ll be rewarded in Namche Bazaar with your first glimpse of Everest in its majesty. At this point, you’ll take a well-deserved break! Today you will spend your day resting and allowing your bodies to become acclimatized to the lofty altitude. In addition to that, there’s an optional two-hour hike to Everest View Point, an uphill walk that will help speed acclimatization. Otherwise, spend the day exploring Namche Bazaar. Check out the Sherpa museum for a summary of the Sherpa culture and history of mountain climbing. On Saturdays, the Hatt Bazaar is open at the locals’ marketplace. It is a part of the larger Namche Bazaar, a shopping hub crammed with all manner of trekking and mountain climbing vesture and instrumentality. Today, you’ll trek further along the Everest route and cross through gorgeous villages and cross the Dudh Koshi River. On the way, you’ll relish magnificent views of the Himalayan peaks like Everest, Lhotse, Nuptse and Ama Dablam along the way. Further, after hiking up on a steep trail, you’ll reach the Tengboche Monastery and spend some time. Later, you’ll descend to Debuche to spend the night. Today, you’ll hike to another village called Pangboche on your way to Pheriche. Pangboche is beautiful scenic village lies between Everest to its north, Ama Dablam, Thamserku, and Kangtaiga to the east, the Kongde range to the south and the Imja Tse River flowing through the valley. From there, you’ll continue further up towards Pheriche, another beautiful village for an overnight stay. Today is the day set aside just for acclimatization. The day for acclimatization help minimize the chances of anyone being affected by AMS (Acute Mountain Sickness). Today you can climb a terrain above the Pheriche village since it gives you a good hiking experience in a cold condition and high altitude. Finally, After an uphill climb to the top of the hill, you’ll be rewarded with great views of the Himalayas. Overnight in Pheriche. You’ll begin today’s trek by hiking back to Pangboche and crossing over the Dudh Koshi River. Next, you’ll hike up on a trail which will take you to the Ama Dablam Base Camp. The Base Camp is huge and open grassland at the bottom of Mt. Ama Dablam. Overnight at Ama Dablam Base Camp. Our expedition team will provide training on peak ascent techniques and the accurate ways of using ascent gear such as the piolet, climbing boots, crampons, harness, ascender, etc. Likewise, you’ll be trained for using ropes for climbing both up and down. The training will enhance your confidence and climbing skills, thus increasing your chance of a successful summit of the mountain. Overnight in Ama Dablam Base Camp. From the Ama Dablam Base Camp, you’ll ascend up to Camp 1 at an elevation of 5,700m following the standard route. Normally, a night is spent at Camp 1 for acclimatization and before returning to the Base Camp for the final preparation to scale the summit. Above the base camp, you’ll ascend through three more camps before reaching the summit. If we talk about the difficulty the climb from Base Camp to Camp 0ne is technically challenging. From Camp 1, we follow existing fixed lines and then establish new ropes wherever necessary both for ascent and descent. The climb from Camp two to Camp three is comprised of mixed rock, snow and ice, which is loose in some places. The final climb from Camp three to the summit is comparatively less technical. After summiting the peak, you’ll return back to the base camp. You’ll follow the path back to Lukla. You’ll retrace back through Tengboche, Namche and Phakding and finally reach Lukla. 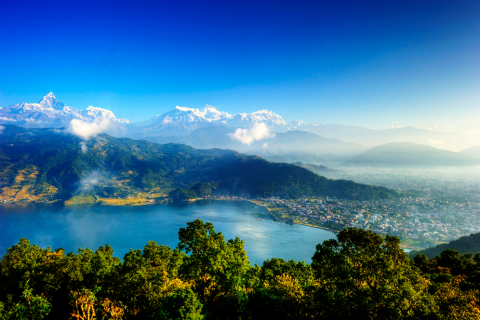 In the 28th day morning, you’ll hop a brief flight from Lukla to Kathmandu, where your journey both began and ends. You’ll be transferred to your hotel upon landing for some much-needed solo rest and reflection after your summit conquering the Ama Dablam. We’ll reunite in the evening for a farewell dinner at one among the most effective Nepalese restaurants in the city, where we’ll be desperate to hear your feedback on the trip. Today, you’ll take some rest and dwell around the Kathmandu valley. You can do some shopping for you and your loved ones back home. 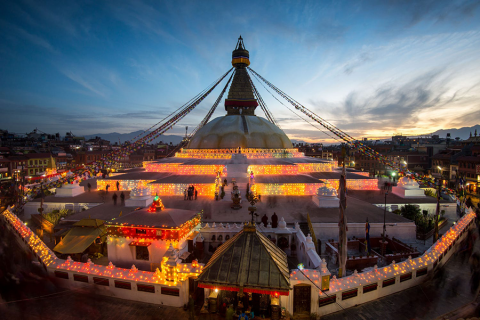 If you wish you can take a guided tour around the UNESCO world heritage sites around Kathmandu. Overnight in Kathmandu. Our representative will take you to Tribhuvan international airport from your hotel and you’ll be leaving Nepal with all the beautiful memories.